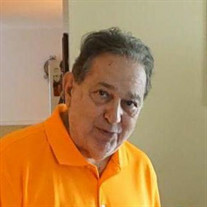 Joseph Moley Sr. 79, of Tampa & York PA. died May 9th. great grandchildren. Memorial service will be held at Boza & Roel at 2pm on 5/26. The family of Joseph Moley Sr. created this Life Tributes page to make it easy to share your memories. Joseph Moley Sr. 79, of Tampa &amp; York PA. died May 9th. Send flowers to the Moley's family.